Whether you are a weekend warrior or a serious competitor, Lake Tahoe's Granlibakken Conference Center and Resort offers the perfect place to train for an upcoming event, or to create your own high intensity work out for a few days with our High Altitude Training Center. Granlibakken provides a hot buffet breakfast for all of our Tahoe lodging guests and can accommodate special dietary requests. The buffet is healthy with hearty choices and varied selection each day, including fresh fruit, gluten free oatmeal and other tasty and healthy food. 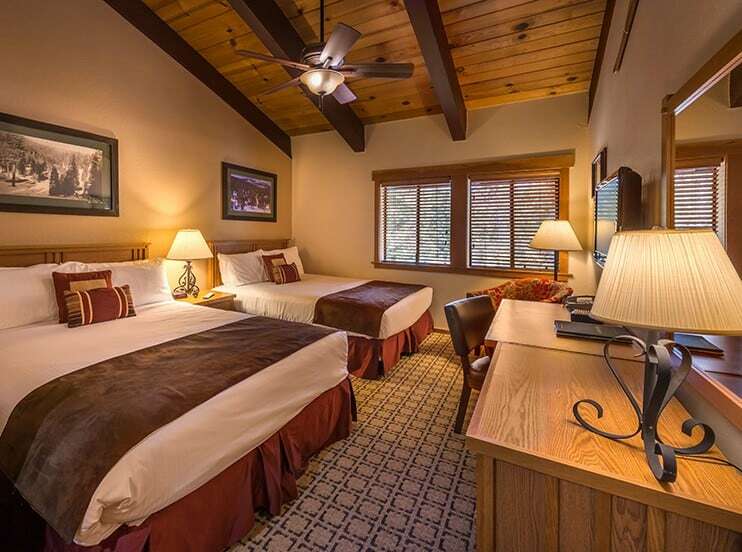 Granlibakken has access to the Tahoe Rim Trail from our 74 acre California retreat for people wishing to hike or mountain bike to build their high altitude stamina. Depending upon your pleasure, bike trails run from Granlibakken north to Truckee or South to Sugar Pine Point State Park. There are many mountain biking trails in the area and road bikers can take the 72 mile ride around Lake Tahoe or the more Challenging "Death Ride" into Alpine County. Everything you need for high altitude training! Triathlon training? Lake Tahoe is a mile from Granlibakken. Lap swimming is available in the Granlibakken pool open daily from 10 to 10, early morning swim times can be arranged in advance. Donner Lake is a good spot for bikers to ride up old highway 40 and then back to the Donner for a long distance swim (Donner Lake is a little warmer than Lake Tahoe). The Donner Ride is a steep and challenging ride. You can warm up with a 15 mile ride from Granlibakken to Donner Lake. At the end of your training treat yourself to a relaxing massage with the Day Spa. Our on-site Lake Tahoe spa offers a variety of spa treatments by reservation. Teams training for special events such as the Iron Man or Tough Mudder can purchase an all-inclusive lodging package including meals and meeting space. Special diet requirements can be arranged in advance. Breakfast, lunch (box lunch if requested) and dinner. The Treetop Adventure Park is great for team building or individual development. It is challenging, exciting and loads of fun. The Treetop Adventure Park can be booked for groups or individuals by reservation. Check out our event calendar and year-round regional competitive events at Tahoe.